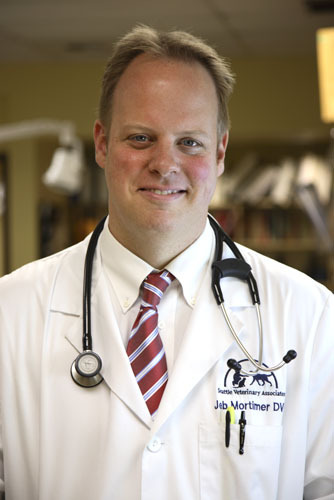 Dr. Mortimer earned his degree from Iowa State University. He received a B.A. in Biology from Baylor University, and completed an internship in Small Animal Emergency Medicine and Surgery in Rochester, New York. 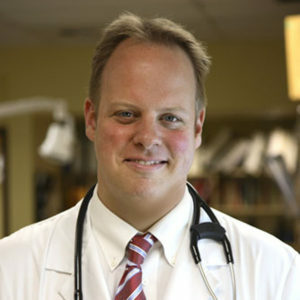 His interests include internal medicine and surgery, including minimally invasive surgery (endoscopy and laparoscopy). When away from the practice, he spends most of his time having fun with his family (his wife Kristie, four children, a cat, a dog, and several chickens). Personal interests include fly-fishing, hiking, gardening and travel.